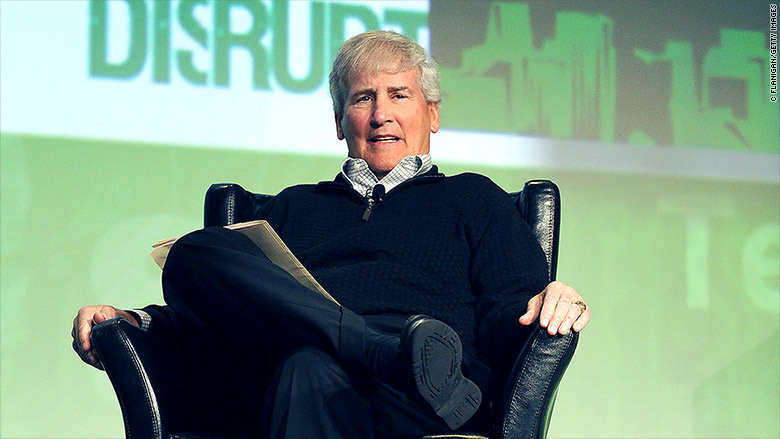 Silicon Valley is mourning the loss of Bill Campbell, a former chairman at Intuit (INTU) who died on Monday. Campbell, 75, was a bright light in the tech industry, serving as a figurative and literal coach to many. He passed away in his sleep on Sunday evening after a long battle with cancer, according to a statement from his family. Campbell, who wasn't technical, started his tech career in the 1980s, joining Apple (AAPL) as a marketing executive. He served on Apple's board for 17 years, at the invitation of Steve Jobs, up until 2014. In the 1990s, Campbell joined Intuit (INTU) as president and CEO. He continued to serve on the company's board until January 2016. Campbell, who worked as a football coach at his alma mater Columbia University in the 1970s, became known as "the secret coach" of Silicon Valley. An article in Fortune from 2008 highlighted the far-reaching impact Campbell had at that time, with some of tech's biggest luminaries paying respect to their colleague and mentor. Eric Schmidt said it was "literally not possible to overstate" Campbell's impact on Google (GOOG). "He essentially architected the organizational structure." Benchmark Capital's Bill Gurley said that for entrepreneurs, having Campbell's advice was like "having extra wildcards in a game of five-card draw." Eight years later, with Campbell's passing, it's clear that his impact is felt across the industry -- and that he's already greatly missed. 2/ Bill was our SuperCoach -- colorful confidante and mentor for leaders and whole teams -- from Intuit to Apple, Amazon, Go, Google & more. You counseled so many. Your wisdom and warmth will be remembered. Rest in peace Bill Campbell. Profoundly sad to hear Bill Campbell has died. Feel lucky to have been coached by him. We shared a love for Butte, Montana & fly fishing. He was truly a legend and someone we all could have benefitted from for so much longer. RIP Bill Campbell. Few come as good as you. "He meant everything to me," wrote venture capitalist Ben Horowitz in a Medium post describing his loss. "Whenever I struggled with life, Bill was the person that I called ... because he would understand what I was feeling 100% ... The worst thing about today is that I can't call Bill. I miss him so much."